A youth ministry needs a solid group of volunteers to be truly effective. We youth workers all know this—but how do we make it happen? Many of us don’t do much when it comes to mobilizing volunteers and equipping them for ministry. Our plate is already full, and building a great team sounds like yet another task to add to the list. But what if your efforts to mobilize and equip volunteers actually lightened your schedule? What if this investment of time actually paid back double, quadruple, or even tenfold? 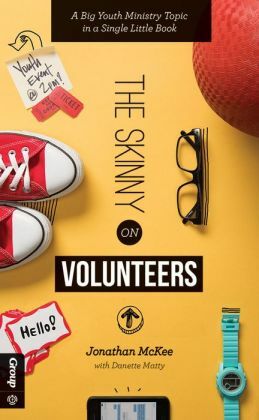 The Skinny on Volunteers will help you concentrate on three simple skills that will help you mobilize and equip leaders: recruiting, keeping, and training volunteers. Yes, volunteers take time. But you’ll discover the rewards of investing in a team of people who will love teenagers, connect with them, and disciple them.